When six clones join Emmaline’s prestigious boarding school, she must confront the heartbreak of seeing her dead best friend’s face each day in class in this exhilarating and riveting debut by Rebecca Hanover. Available Now at Your Favorite Book Retailer! This fall, six new students are joining the junior class at the elite Darkwood Academy. But they aren’t your regular over-achieving teens. They’re clones. And they’re joining the class alongside their originals. The Similars are all anyone can talk about: Who are these clones? What are the odds that all of them would be Darkwood students? And who is the madman who broke the law against cloning to create them? Emmaline Chance couldn’t care less. Her best friend, Oliver, died over the summer and it’s all she can do to get through each day without him. Then she comes face-to-heartbreaking-face with Levi—Oliver’s exact DNA copy and one of the Similars. 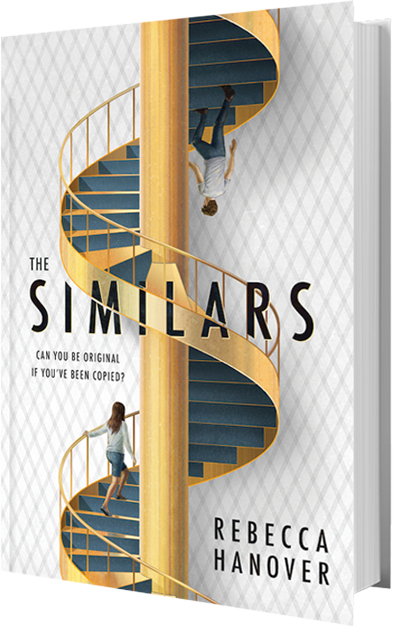 Emma wants nothing to do with the Similars, except she keeps getting pulled deeper into their clique. She can’t escape the dark truths about the clones or her prestigious school. No one can be trusted…not even the boy she is falling for with Oliver’s face.